Throughout history, people have sought ways to protect themselves from harsh environmental conditions such as cold weather. Over the years, new advances in technology became readily available, which made the task of heating a home safer and more convenient. With proper maintenance and an occasional repair, modern heating systems require only the flip of a switch and setting a thermostat. A warm, well-insulated home, however, was not always the case. It was recently discovered that around 44,000 BCE, our Neanderthal ancestors were using hearths inside of structures to keep warm and to cook. It’s assumed that earlier human ancestors used fire in caves to keep warm. Although there were other variations of home heating attempted over the subsequent years, the hearth continued to be the most commonly used until about the 14th century. 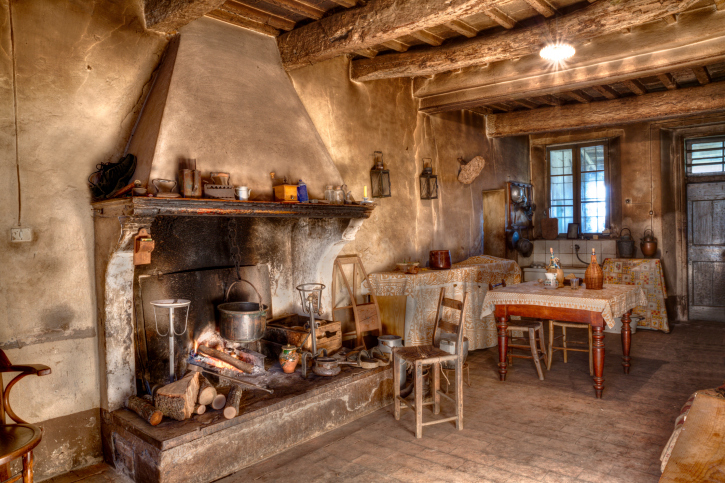 During ancient times, the open ceiling hearth fire was still the most commonly used form of home heating/cooking. However, there were a couple of exceptions, when underfloor heating was used. "Ondol" by Dzihi - own work based on other pictures of ondol system. Licensed under CC BY 3.0 via Commons. There has been evidence from around this time that Koreans were using a type of underfloor heating called an ondol. A wood fire was burned under a masonry floor that absorbed the heat and transferred it into the home. 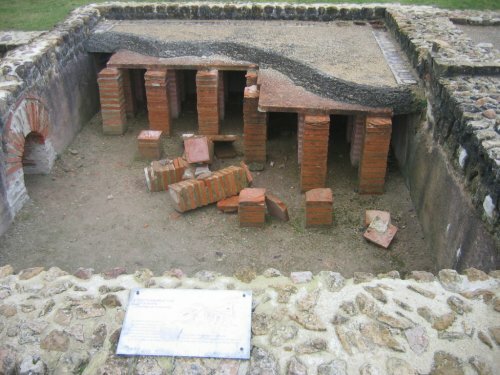 "Vieux la Romaine Villa hypocauste". Licensed under CC BY-SA 3.0 via Commons. The Romans developed a system of heating called hypocausts: buildings were built on pillars and the floors and walls had spaces in them. Fires were lit below the buildings, allowing the heat to flow through the space in the floors and walls, and out through flues in the roof. This effectively heated the building without allowing smoke to pollute the indoor air. The use of hypocausts declined along with the decline of the Roman Empire, and home heating fell back on the hearth. No major breakthroughs in home heating occurred during most of the Middle Ages. The open-roofed hearth continued to be the main source of home heating. With the invention of the chimney in the 12th century, the fireplace began to replace the hearth, vented by a hole in the center of the roof. The origins of the chimney trace back to the slanted sidewall flue used in Norman castles. This enabled the fireplace to be located at the side of a room. Advances in chimney designs enabled the construction and use of multiple flues and fireplaces. 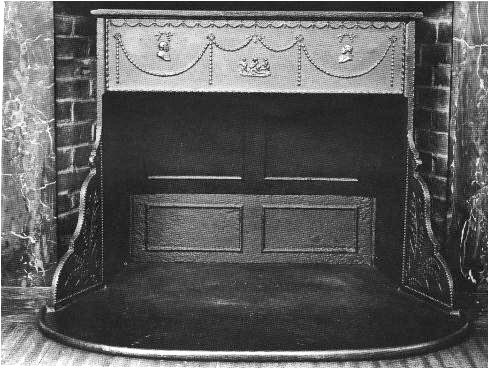 "Franklin stove" by unknown (NPS?) - From , a National Park Service web page. Archived link.. Licensed under Public Domain via Commons. The fireplace remained the primary source of heat in a home until the 17th century and the invention of the stove. A main reason people adopted the stove was the creation of a safer, more efficient model by Benjamin Franklin, a variation of which still bears his name. Other improvements included the introduction of the base-burner stove by Eliphalet Nott in 1833 and Isaac Orr’s airtight stove three years later. During this period, the primary source of fuel for fireplaces and stoves was wood. Coal did not come into widespread use until 1885, when carts and later trucks would deliver loads of this fossil fuel to basements around the world for the next 50 years or more. While coal is still mined for electric power generation, it has been supplanted by oil or natural gas. 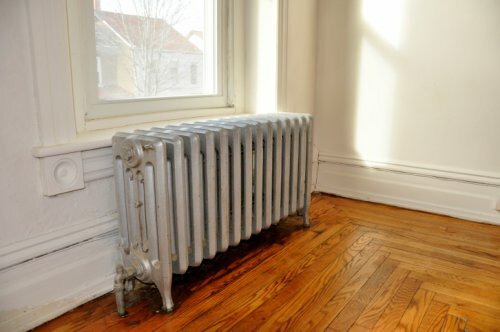 The 19th century saw the invention of the radiator in Russia and the electric heater by Thomas Edison in 1883. The use of boilers, radiators, and steam or hot water to heat homes became more popular after the Civil War. The White House and Capitol building were outfitted with steam heating systems in the 1840s. While large commercial and public buildings used steam, most homes were equipped with lower pressure hot water radiators because they were considered safer. In the late 1800s, Dave Lennox manufactured and marketed a steel coal-fired furnace that used low-cost cast iron radiators to efficiently heat a home. This meant that people no longer had to huddle around the fireplace or a stove to keep warm. 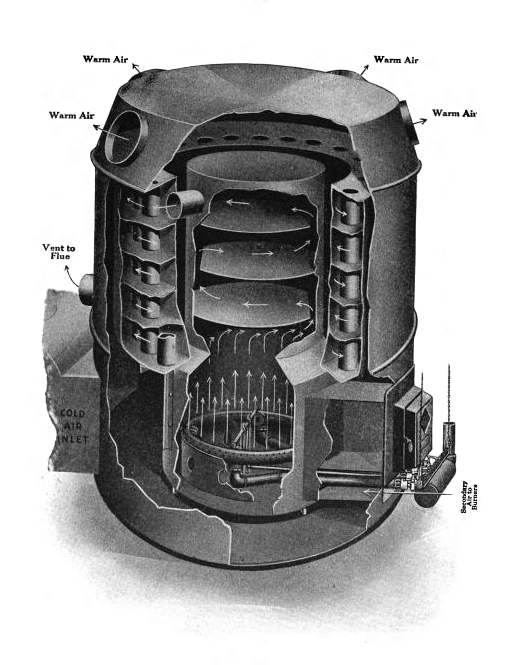 "Lamneck-central-heating-gas-furnace-cutaway-diagram" by American Gas Institute - Report of the Househeating Committee, American Gas Institute, 1917, pg. 15 on Google Books. Licensed under Public Domain via Commons. Alice Parker patented a central heating system in 1919. The lack of electricity for fans meant that heat was transported through the ducts by the process of natural convection. Less than 20 years later, a coal furnace and an electric fan were connected to a network of ducts to supply warm air throughout a house. By the middle of the 20th century, people had a number of choices for heating their homes. Options included boilers and furnaces fueled by oil, propane, natural gas, and electricity. Apartments often used wall-mounted or recessed electric heaters. We still see these today. Other home heating systems include heat pumps that can be either air-sourced or geothermal, which take advantage of the temperature difference between the inside and outside air. Blower motors turn fans that circulate the warm air throughout the home by means of ducts and registers. Today, people still use wood in fireplaces and modern, efficient wood-burning stoves. Homes are also being constructed or retrofitted with gas fireplaces. Solar heating made its debut in the 1990s. Modern home heating systems are quiet and efficient and automatic, and use a variety of fuel sources such as electricity, gas, oil, wood, and more. Combine this with programmable or even self-learning thermostats and the heat in your home can be adjusted to your schedule to optimize comfort while minimizing costs. Regular maintenance and filter changes can help ensure heat is always available in your home. Contact Shipton’s today for more information on heating options and a free quote or to get your maintenance scheduled.